I write and sing about whatever I am able to understand and feel. 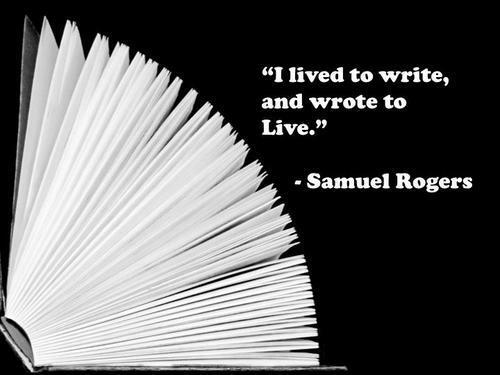 I lived to write, and wrote to live. First general point: I write to destroy, by describing exactly the nocturnal monsters that threaten to invade my waking life. Write something that’s worth fighting over. Because that’s how you change things. That’s how you create art. I write short, my words tight to the thread of the narrative. I just sat down and thought, I’m going to write a song today, I’m going to give it a try. So I just stuck it on a tape like everything else. That was just another song. If you don’t write good music, people aren’t going to listen to anything you say. You have to live what you write, or you have to know it. There are exceptions, like story songs, where you just have to have your facts straight. But I think you don’t have to live a hard life to be a good or interesting songwriter. I write all the time, even if it means recording in the hotel room. I write on the plane, anywhere, anytime I’m inspired or have ideas. We are the authors of our own fate-we write it each day with every one of our actions. I tend to write out the first iteration of a lyric here and then go over here and make variations on it, on the page opposite. Write from the heart, edit from the head. No one who writes a good book is really dead. Because to write, one must truly suffer. Anybody who writes doesn’t like to be misunderstood. The best way to write a novel is to do it behind your own back.